Incoming Seniors, THREE summer dates left! First of all you might be wondering, "what is a VIP?" Well, I'm glad you asked. :-) The VIP program in my opinion is the best thing since sliced bread. If I'm gonna be completely honest, it's better than Hawaiian Rolls. So now you know how awesome I think it is. I thoroughly enjoy photographing high school seniors. 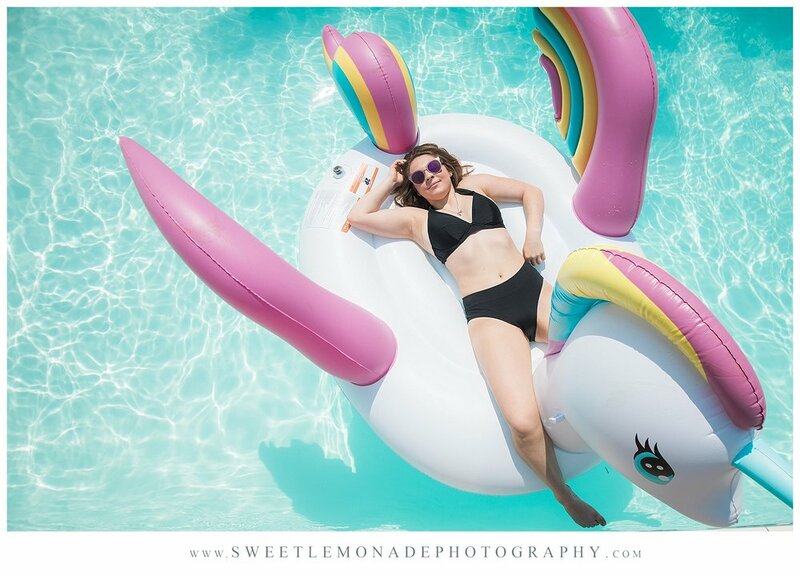 The kids I've met through Sweet Lemonade Photography have been talented, creative, intelligent, kind, loving, ambitious kids and selfishly I wish I could have spent more time with them than just their photo session. So, I came up with a way to change that! I am a kid at heart. I love to have fun. I love to take pictures. I love to make others smile. I love helping others. I love creating memories. So why not, put it all together?! All participants in the SLP VIP program are invited to participate in styled shoots, quarterly social gatherings, volunteer opportunities, and more. It's a great way for them to meet other kids in their grade throughout central Illinois. One requirement.... you MUST like to be in front of the camera cause whether it's a styled shoot or just a fun outing, you better believe I'm gonna have my camera out! Here's a few pics from the first party for the class of 2019. We couldn't have picked a more perfect day to swim. Heat index was over 100 so the water was a welcome relief!